Ingredients: apples, sulfur dioxide and sulfur metabisulfite, unsweetened cocoa powder, sugar, vegetal fat, non-fat dried milk, natural vanilla flavor, and pastel cheese cake coverture. Dried apple rings coated in milk chocolate and then covered with pastel cheese cake coverture. Organic dried apples are a healthy and delicious snack. 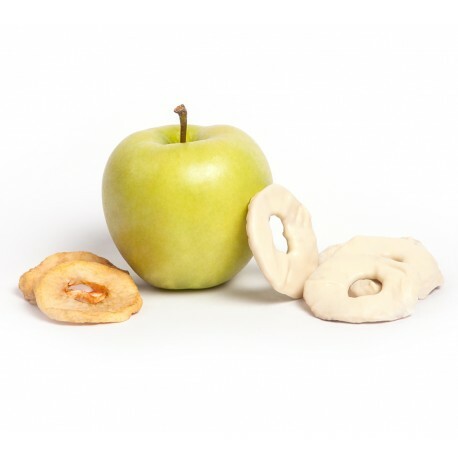 Naturally sweet and flavorful, these organic dried apple rings make a tasty treat. They provide an excellent source of fiber, vitamins, and minerals. 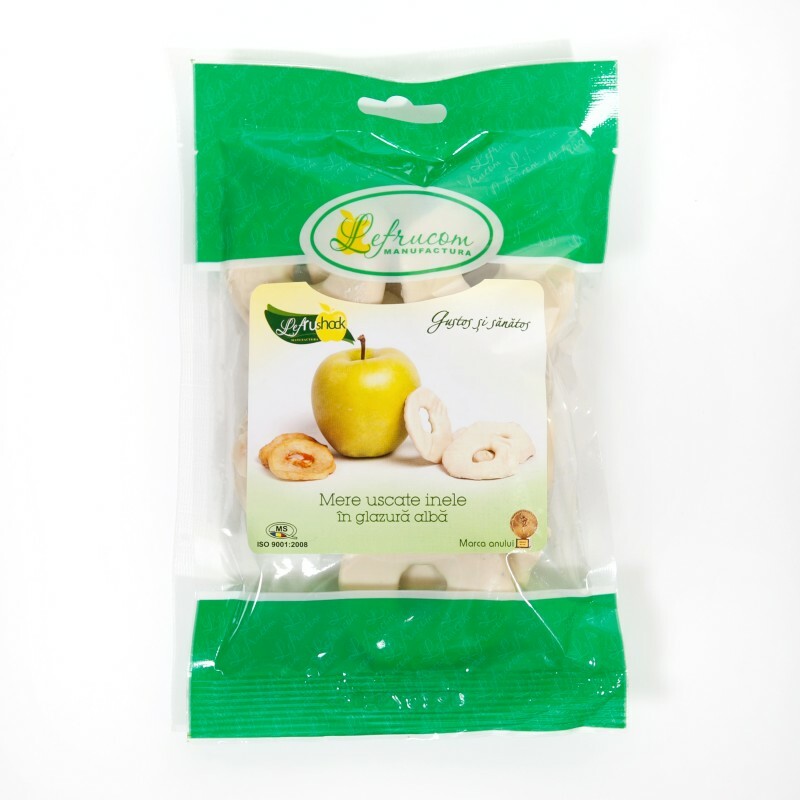 Organic dried apples also supply abundant levels of antioxidants to protect cells against damage by free radicals. They are rich in immune-boosting vitamins, and essential minerals such as calcium and iron. An apple a day really does keep the doctor away! With our white chocolate organic dried apples, you can easily enjoy this nutritious snack anywhere.